Tom Ford’s new perfume from the Private Blend series is as he describes it: “Sweet. Irreplaceable. Desired! The Lost Cherry is an unforgettable travel to the forbidden.“ Perhaps, you ought to try it! Lost Cherry is a sweet, strongly oriental aroma of contrasts. Just as innocence meets pleasure and sweetness meets seduction. When opening it, the exotic black cherry dominates with a touch of bitter almond. There are strongly contrasting notes, sweet and tart, bright and dark. 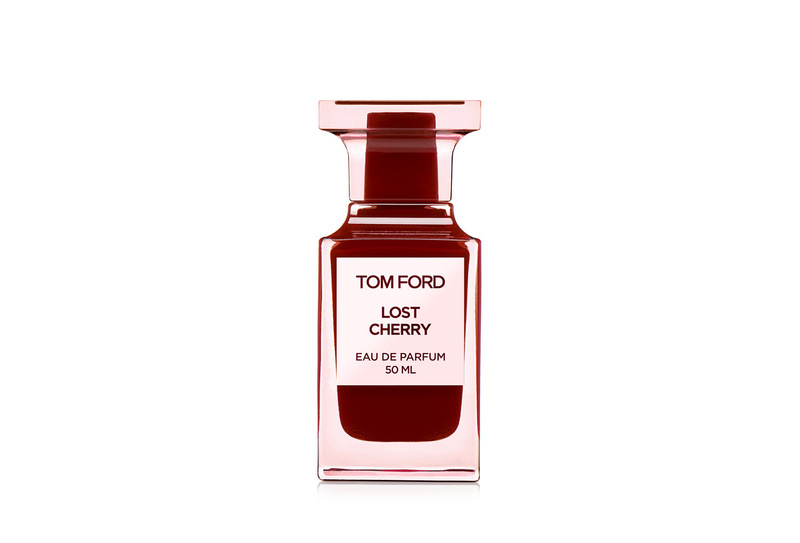 Cherry syrup causes the sensual cherry to split, while the Turkish rose and sambac jasmine give an earthy sensation. Lost Cherry is inspired by the insatiable desire and surpasses every imagination, since its rich blend of sensual peruvian balm, roasted tonka, sandalwood, vetiver and cedar creates a wonderful result. Designed with extraordinary detail highlighting the distinctive Private Blend look, Lost Cherry’s red-cherry bottle features the sweet as well as the seductive character of the fragrance.